“There aren’t any “grab and go recipes” in participatory farming systems research design. It can only benefit from iterative improvements with time and we get better at it.” This was according to the participants at the end of a recent training on farming systems research design for Africa RISING scientists held 3 to 4 October in Lilongwe, Malawi. The training was organized by the project management team to prepare project partners for appropriate design and implementation of the research-in-development (R-in-D) activities proposed in the newly announced Africa RISING phase II. “The main problem is that we have been doing component farming systems research, but have not prepared ourselves adequately to design research that brings the different components as “whole” farming systems. This training was therefore purposely planned in advance of the starting implementation of phase II activities so that the researchers can design their activities with a farming systems focus at the back of their minds,” explained Mateete Bekunda, Chief Scientist, Africa RISING East and Southern Africa Project. “After this training I think the scientists are now better equipped to make more integrated and participatory systems research designs,” he added. 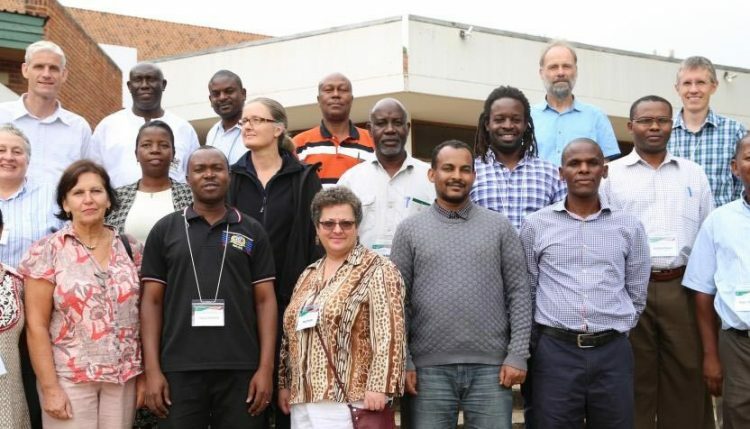 Twenty scientists implementing different Africa RISING interventions took part in the training and discussed in detail the different methodologies and approaches for farming systems research. Participants also tackled topics like: How “participatory” should systems research be? What are the implications for farming systems research design, considering the added expectations that research needs to contribute directly to the achievement of development goals? How best can researchers communicate the inherent tradeoffs posed by the improved technologies they offer to farmers? How do the activities implemented by researchers under the Africa RISING project contribute to the sustainable intensification domains? During the training, participants also examined different influence diagram models as case studies to try and tease out the various design questions and relationships that would enable collection of relevant data to sufficiently address tradeoffs and how to measure sustainable intensification indicators. “I thought this training was worth it. Helping us get to the next step of our research work for better systems approach orientation. It helped us see how we can be clearer about our objectives, research questions and how to go about addressing them,” noted Sieglinde Snapp, Michigan State University. Other interesting discussions at the training took place in groups where participants drew up various causal loop diagrams on how labor influences farmer choices, how to assess farmer preferences, and the use of baselines, controls, and farmer practices. Getting it (farming systems approaches/designs) right and documenting lessons learned therefore will be a significant aspect of Africa RISING’s deliverables in the next five years. Expressing satisfaction with the quality of discussion and level of commitment at the training, Ric Coe, partner at Statistics for Sustainable Development, who led the training, noted that Africa RISING needs to continue to facilitate, support, and encourage these kinds of training courses that allow researchers to reflect more deeply about their work.